Analyzing your business? 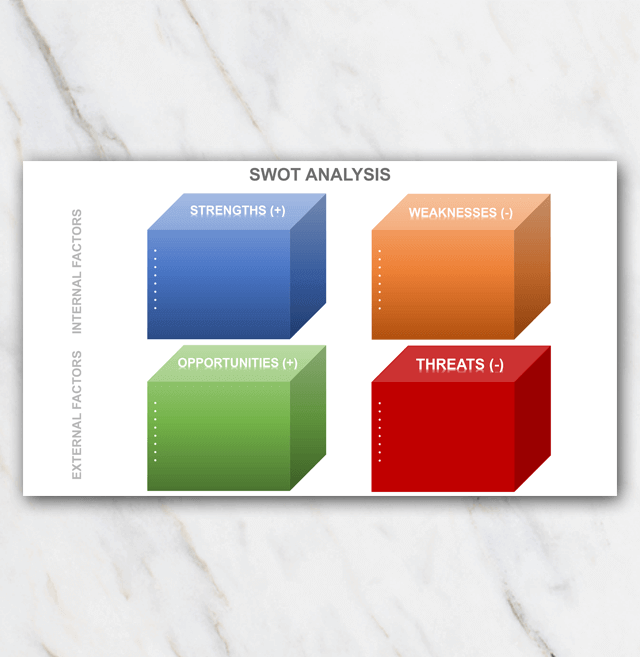 Download this SWOT analyis template in Powerpoint now for free. Really easy to download. Just make sure you have PowerPoint installed to your computer and start straight away. Looking for other SWOT templates? Check out the overview page with other SWOT analysis templates.